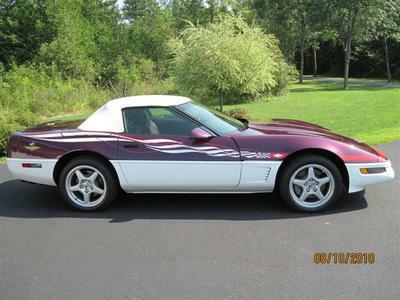 5/23/2013 (Burlington, Vermont) - 1995 Corvette Indy Pace car Convertible with 340 miles. Stored in an air conditioned garage and is as new as you will find. Obviously mint condition. For more info contact Tony on 802-343-5695.